petition: This Miracle Dog Survived Euthanasia! Can You Help His Friends? This Miracle Dog Survived Euthanasia! Can You Help His Friends? Most of us remember the film "Rudy" which tells the story of Daniel "Rudy" Ruettiger who, against all odds, went from being a groundskeeper's assistant to miraculously playing in one of Notre Dame's biggest football games of the season. "Rudy" taught us the power of hope and perseverance and touched all of our heartstrings. Recently, another Rudy made headlines, but this time the miracle didn't happen on the field, rather in the veterinarian's office instead. Rudolph, a 7 to 8-month-old pup survived the impossible. The young pooch was being kept at a crowded overflow shelter in Oklahoma. The shelter, unfortunately, didn't have a "no-kill" policy, and because the shelter was too crowded, employees decided Rudolph's time was up and they put him down. Or at least they thought they did. The vet had injected Rudolph with a dose of anesthetic strong enough to kill him. But when they returned to make sure he had been successfully euthanized they found a fully awake puppy! Luckily, the vet didn't attempt to kill Rudy again. 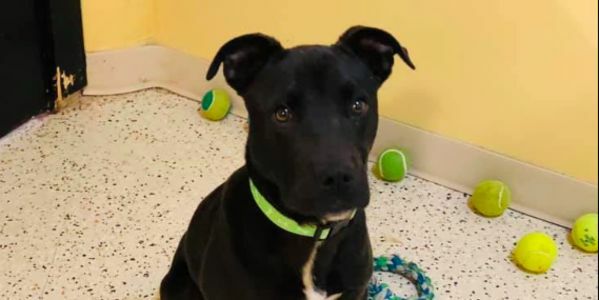 And when news got around that there was a "miracle puppy" in an Oklahoma shelter, the people of King's Harvest Pet Rescue in Davenport, Iowa, decided to step in and save him. Rudy was taken to Iowa and has already been adopted out. Now he can bring joy to a new family for years to come, and they can't wait to give him all the love he almost lost out on when he was nearly put to death. Unfortunately, Rudy's story is so remarkable because most of the times dogs are killed successfully. In the United States alone around 2.7 million animals are euthanized each year. That's almost 7,500 dogs and cats killed every day! This isn't the way it should be. Animals deserve the to have a long, healthy and loved life, and if kill shelters are allowed to euthanize their rescues whenever convenient, that can't happen. Care2 wants to challenge the state of Oklahoma and the rest of the state governments to put an end to kill shelters and make every shelter a no-kill shelter. There are better, more humane ways to handle pet overpopulation. It's time the states did something to make them happen. Sign the petition and tell your state you are against kill shelters. Then write your state government and tell them to take action.